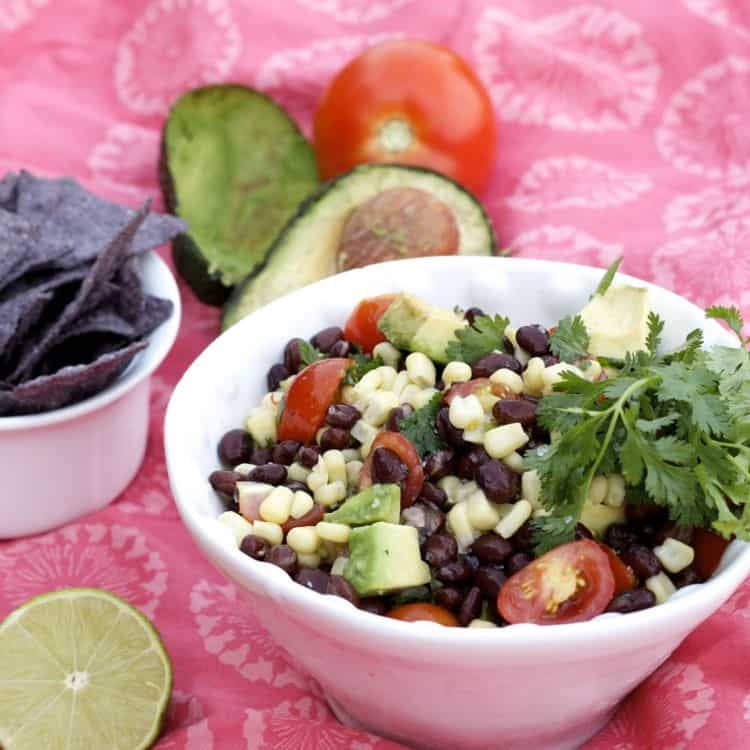 Meet today’s bean corn avocado salad, one of my all-time favorite salad recipes. This is one of those foods that I crave constantly and can eat non-stop, for days at a time. 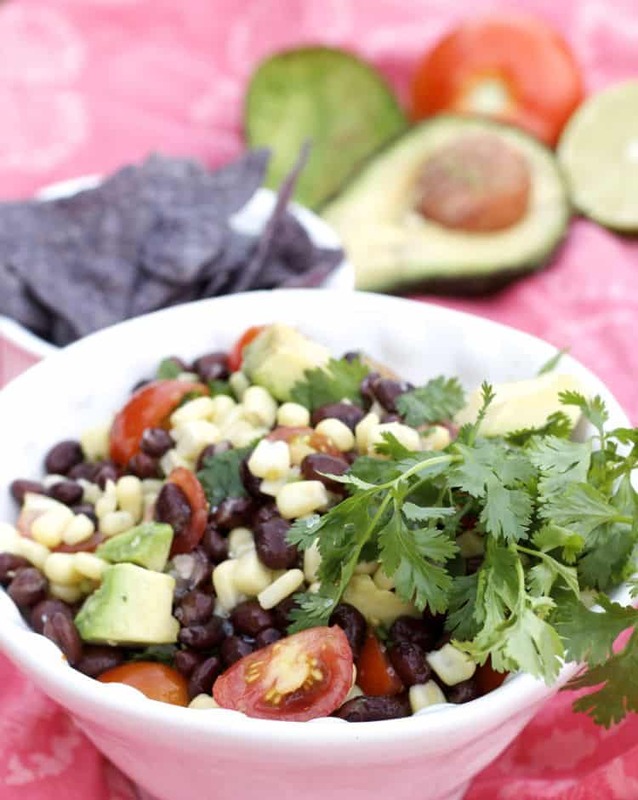 It’s packed with protein and vegetables but still maintains a salsa-like taste because of the added lime juice. You can either serve it with chips for a chips and dip option or alternatively you can opt to eat it as a salad like I do. Either way, it’s delicious, fairly light in calories and has lots of nutritional benefits. 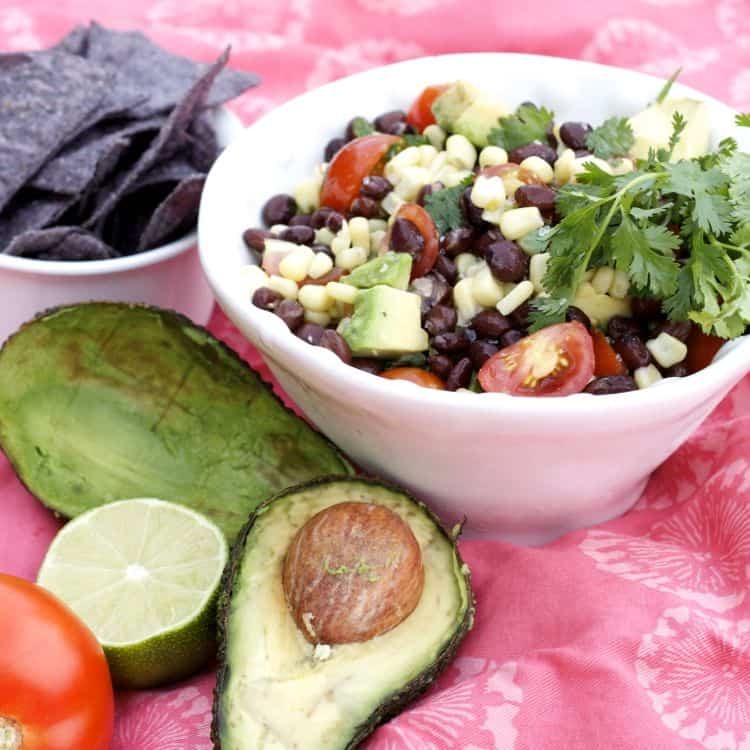 It’s a very versatile recipe so you can play around with the amounts and perhaps even the ingredients (though don’t stray too far as the bean corn avocado combo is really the best). Because of it’s simplicity, you can throw it together quickly. The only thing that takes time is chopping up cilantro. 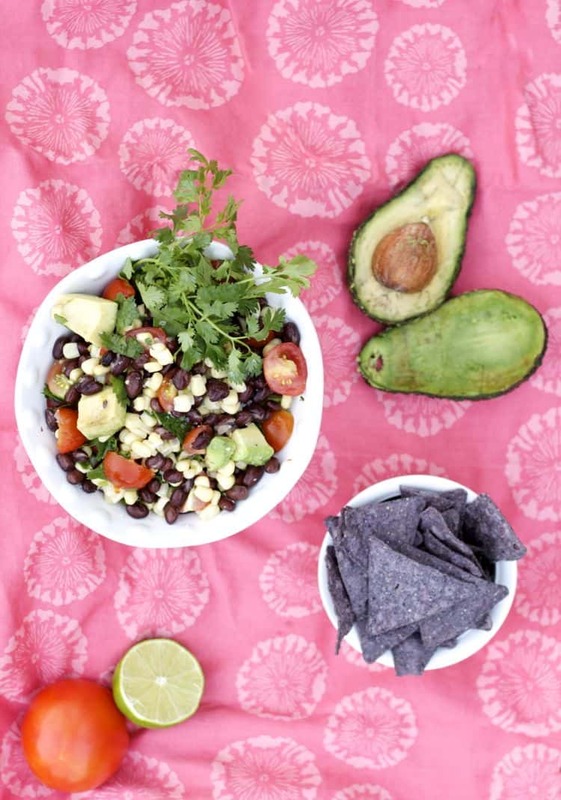 My family (minus Andrew because of the beans) loves this salad and we always make a huge bowl of it when we’re getting together as it’s pretty perfect for a hot summer day. Serve alongside grilled chicken and iced tea and you’ve got a fantastic summer meal! Combine ingredients together in a bowl. Serve with chips or plain as a salad!